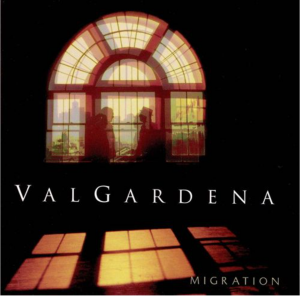 Migration turned out to be the last album for almost 15 years. That wasn’t the plan when we started, but both of our lives had become more complicated and demands on our time left very little space to compose and record. In emotion, Migration is quite similar to On the Bridge. We were honored to have star trumpeter and Portland Oregon native Chris Botti appearing on the track written by Jeff, “Here with me Now” and guitar legend Lee Ritenour played on my composition, “Valley of Colors”. The album title refers to major transitions in both of our lives and in a more general sense, to the ever-changing nature of things.